It's Time for Your MMR Vaccine! MMR - a vaccine against Measles, Mumps and Rubella is used as an immunization tool against these viral diseases. Measles is a very contagious illness that spreads by contact with droplets from the nose, mouth, or throat through sneezing and coughing of an infected person. Those who have had an active measles infection or who have been vaccinated against the measles have immunity to the disease. However, not vaccinating children can lead to outbreaks of Measles, Mumps and Rubella. The symptoms of Measles begin to occur between 8-12 days after exposure to the virus. After this period, the disease will begin to manifest itself clinically in the form of bloodshot eyes, cough, fever, light sensitivity, running nose, a sore throat and muscle pain. Rashes will begin to appear on the body, starting at the forehead and gradually progressing to the rest of the parts. These rashes could eventually get itchy and discolored. There is no specific treatment for measles. The affected person will eventually develop immunity against the disease. Certain drugs (recommended by the doctor), bed rest, humidified air and Vitamin A supplements are given to relieve the symptoms, severity and progress of the disease. When not treated well, complications like bronchitis, encephalitis, ear infections and pneumonia can result. Routine immunization is highly effective for preventing measles. Most children are immunized at the age of 18 months and a second dose is given between the ages of four and five to further increase the immunity. People who are not immunized, or who have not received the full immunization are at high risk for catching the disease. Recent advances in this area have introduced vaccines in the form of inhalable powders that have proven to be beneficial and reduce the risk associated with injecting the vaccine like transfer of infection, HIV etc. 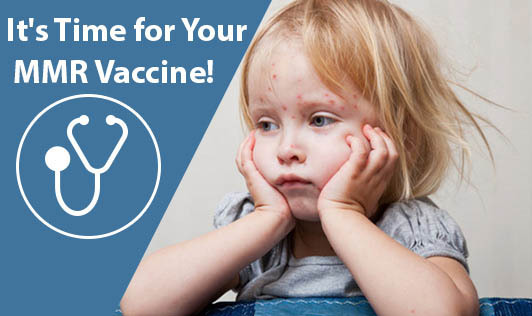 Hence, get your child vaccinated on time to avoid complications associated with measles. It is easier to prevent the disease when the choice is available to you!